Unlike Yamaha MotoGP team-mate Valentino Rossi, Maverick Vinales believes the 2019 M1 is capable of winning the 2019 title and just needs a little more mechanical grip to improve the package. Vinales ended the two-day Jerez test less than a tenth off the pace while Rossi - who says the bike can be fourth at best - was a further half a second in arrears. “We were very competitive with used tyres, I could ride really well the bike during all the test. 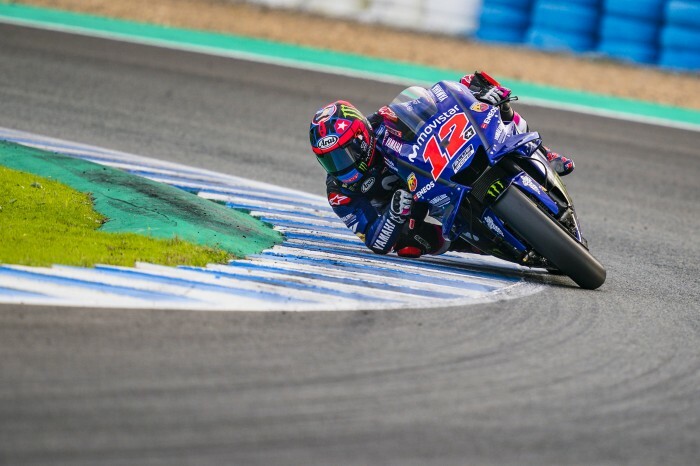 And that track for me is really difficult, I never been fast with the MotoGP here, and this year I could keep really good laptimes, I could push,” said Vinales, speaking at Jerez. “So it’s really important to be just one tenths away from the top here, in that track that I think is the most difficult for us, it’s really good. I think it’s the bike to be competitive and the bike to win the title. I felt really good. “We need more traction. Still this is our weak point, so I’m really happy to hit these laptimes with this traction. It means that the bike is working well. I think first of all we have to find a little bit mechanical grip, and then we have to adjust the electronics.